'Only when India's adversaries are convinced that India has both the necessary political and military will and the hardware to respond to a nuclear strike with punitive retaliation that will inflict unacceptable loss of human life and unprecedented material damage, will they be deterred,' says Brigadier Gurmeet Kanwal (retd). India is located in a dangerous and unstable region -- it shares borders with two nuclear-armed neighbours, China and Pakistan, and has territorial and boundary disputes with both of them. Hence, India's decision to develop credible minimum nuclear deterrence policies against the use and the threat of use of nuclear weapons is justified on the grounds of safeguarding India's sovereignty and ensuring national security. 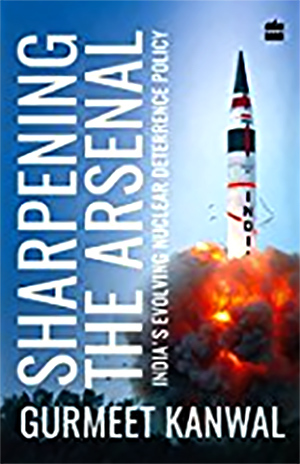 As long as offensive nuclear deterrence continues to be so unabashedly practised by the other NWS and SNW, particularly China and Pakistan, India's defensive nuclear deterrence option cannot be compromised. India's 'no first use', retaliation-only, nuclear posture is not only morally befitting and worthy of India's civilisational heritage, it is also an operationally sound strategy. However, deterrence hinges on credibility and India is still far from demonstrating strong political resolve to execute a massive retaliatory nuclear strike. Only when India's adversaries are convinced that India has both the necessary political and military will and the hardware to respond to a nuclear strike with punitive retaliation that will inflict unacceptable loss of human life and unprecedented material damage, will they be deterred. Only then will it be possible to ensure that the nuclear monsters remain tightly leashed in and around India's neighbourhood. The adoption of graduated or flexible response strategies will weaken the quality of India's deterrence and may tempt its adversaries to test India's resolve and capabilities. Even though it is readily accepted by most analysts in the countries that possess nuclear weapons that these are not weapons of warfighting, first-use postures continue to be adopted and tactical nuclear weapons (TNWs) continue to be added to nuclear arsenals. With President Donald J Trump now in power in the US and strident right-wing parties steadily gaining ground elsewhere, the arc of instability is expected to gradually spread to new areas. It is also widely expected that under President Vladimir Putin, Russian actions will continue to add to regional instability. President Xi Jinping's China has apparently given up former Chinese leader Deng Xiaoping's advice to 'hide our capacities and bide our time' and has begun to flex its military muscle, especially in the South China Sea. Islamic State's virulent ideology is continuing to spread to new areas even as it is losing ground in Syria and Iraq. The world has moved from the 'unipolar moment' to an era of strategic uncertainty. Rapidly growing technological capabilities, realistic projections of the power of emerging technologies, reasonable assumptions about the growing threat spectrum and the failure of the international community to make any tangible progress towards disarmament lead to the conclusion that the world may witness both vertical and horizontal proliferation in the coming decades. 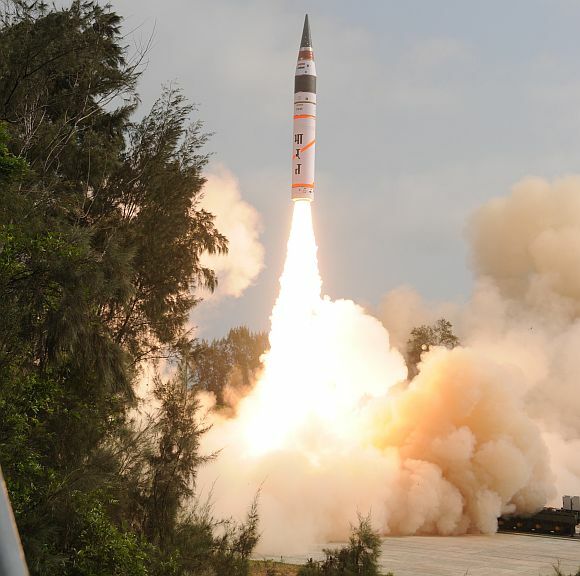 A new nuclear arms race may soon be under way in East Asia and South Asia. Even a pacifist country like Japan has been quietly practising 'insurance hedging' -- creating the capability to assemble nuclear weapons if it ever becomes necessary. North Korea's belligerence and the international community's inability to rein in its nuclear weapons programme may force South Korea to consider the assembly of its own nuclear arsenal. Unsure of President Trump's long-term intentions, a few European nations like Germany have begun to think in terms of establishing a European or even their own nuclear deterrence. Hence, it is for good reasons that the scientists manning the Doomsday Clock managed by the Bulletin of Atomic Scientists moved the hands from three minutes to midnight to two-and -a-half minutes to midnight in January 2017. Clearly, the nuclear age is not over and, though the probability is low, oblivion may yet stare us in the face. Even though 50,000 to 60,000 nuclear warheads have been produced since the bombing of Hiroshima and Nagasaki in 1945, some basic human survival instinct has 'repeatedly stayed the finger that might have pushed the button'. As General J F C 'Boney' Fuller, a British strategist, had written a century ago, the ultimate object of war is peace, not victory. In that vein, the ultimate aim of deterrence is to prevent war and reduce its salience as an instrument of policy. Prudence would lie in continuing to sharpen the cutting edge of India's nuclear arsenal so that deterrence never breaks down. Hopefully, in the not-too distant future, collective thinking will shift from the madness of nuclear brinkmanship to the rationality of disarmament. Perhaps, then, a few statesmen will come forward to declare that nuclear weapons are a threat to the survival of mankind and, goaded by NGOs like ICAN, the nuclear-armed countries will together agree that all the stockpiles must be destroyed.